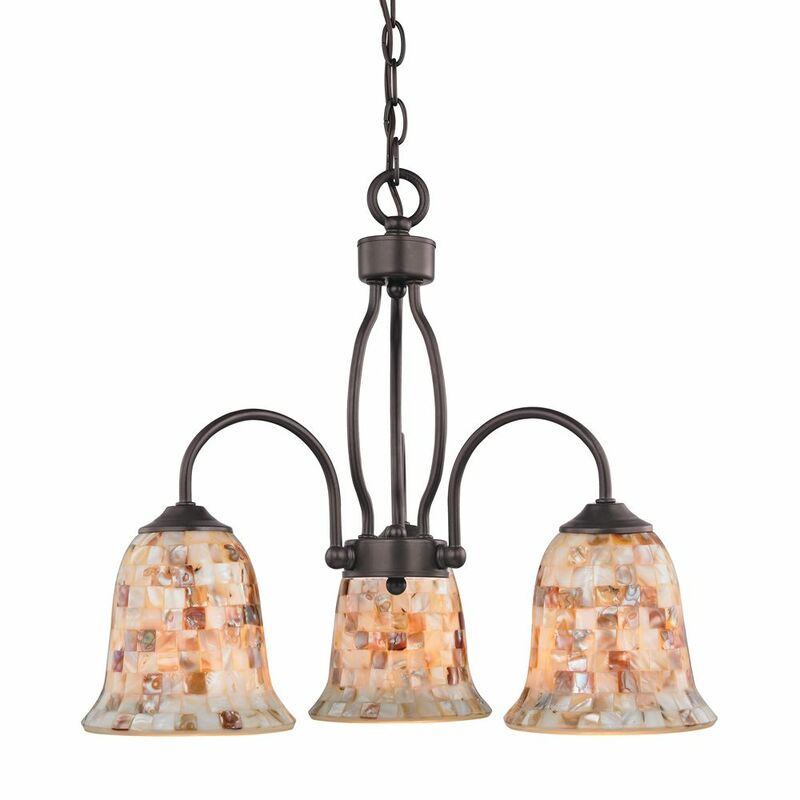 This beautiful three light chandelier features a classic design with metalwork finished in oil rubbed bronze and beautiful mosaic glass. The DELMAR 5-light chandelier features a mix and match of materials to create a unique look like no other. The rope stem complements the metal body perfectly. The seeded glass shades add another element. This is perfect for dining and living rooms. This Commercial Electric chandelier consists of a durable iron construction with a solid, modern design that brings a new look and feel to both casual and formal interiors. The oil rubbed bronze finish is complimented by the tea stained glass shades that spread soft light evenly throughout the room for a warm glow. This Hampton Bay chandelier consists of a durable iron construction with a modern take on the mission style design that brings a new look and feel to both casual and formal interiors. The oil rubbed bronze finish is complimented by the tea stained glass shades that spread soft light evenly throughout the room for a warm glow. Three-light chandelier with smooth forms and windowpane style gallery that produce a beautiful, modern gas light effect. Overscaled tubing and etched glass shades offer substance within the sleek frame. Available in Antique Bronze and Polished Chrome finishes. Berkley 3-Light Oil Rubbed Bronze Chandelier With Mosiac Glass Shades This beautiful three light chandelier features a classic design with metalwork finished in oil rubbed bronze and beautiful mosaic glass.